Scheduled meetings are a must. This story is from Jim Rose who was Staff Sargent with the 172nd Transportation Company from 1961 – 1969. 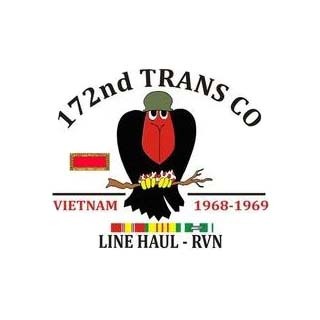 The 172nd Transportation Company was U.S. Army Reserve Unit from Omaha, Nebraska. They were called to active duty in 1968 and trained at Ft. Lewis, WA prior to their deployment to Viet Nam. 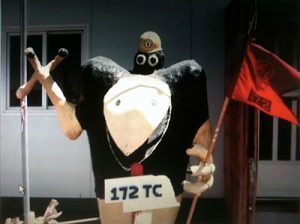 While at Ft. Lewis, they “recruited” a mascot that they simply call “The Crow”. He accompanied them overseas and sat proudly in front of their unit headquarters. 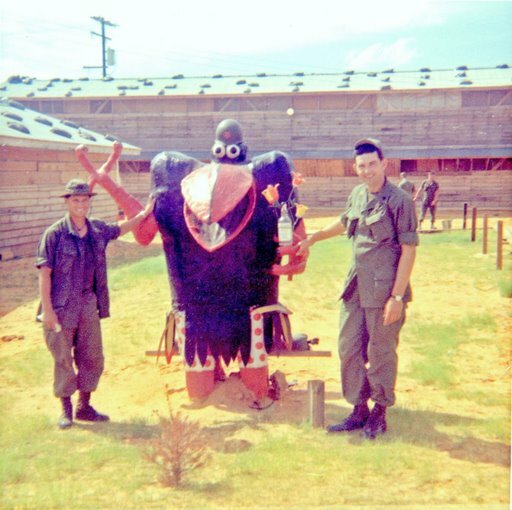 They painted an iconic image of him on all of their vehicles as they performed their mission in Viet Nam. When they returned home, The Crow took his place in their Armory and to their amazement remained with the unit for nearly 40 years until the units official deactivation in 2007. Over the years, the unit was deployed again for Operation Desert Storm and then for Operation Iraqi Freedom. 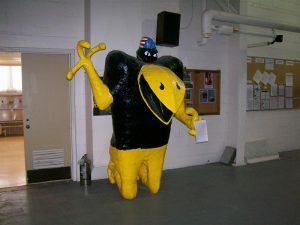 Each time The Crow was shipped along with all of the other gear and served as a mascot and iconic image. When the unit was deactivated they contacted the Department of the Army with our story and they requested us to ship The Crow to the Army Transportation Museum at Ft. Eustis, VA where he currently awaits to become part of an exhibit about the Viet Nam war which is under construction. They feel fairly certain that their “Crow” began life as a Yard Bird. We think that this may have been the bird that hung upside down at the Olympia store. If anyone has any more information that would help us confirm that we would really appreciate your help!